The University accommodates legitimate government scholarships. A blessed Holy Week to us all. Yes...i❤MLQU ...my college skul. ..
To all the strong, unique, passionate, and independent ladies, this is your day! PROUD TO BE QUEZONIAN, BATCH 1970 BSC Accounting. GOD BLESS DEAR ALMA MATER!! I belong !! !grad ako bshe!!! Let them know how much you love them! To a prosperous and bountiful Chinese New Year 2019! To apply to Manuel L. Quezon University course programs, applicants should be Graduates of foreign and Philippine high schools accredited by the Department of Education (DepEd) may be admitted as freshmen into the University. Certification of Good Moral Character from your school of origin. Three (3) pcs 2x2 picture. 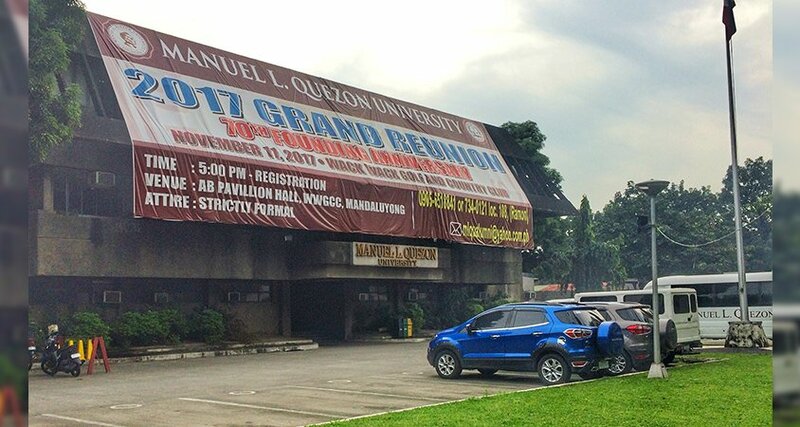 Transfer applicants seeking transfer admission to Manuel L. Quezon University have to satisfy the requirements of as well as those of the college/ degree program to which they seek to transfer. Honorable Dismissal or Transfer Credentials from your school of origin. Certification of Good Moral Character from the aforementioned school. Scholastic Records for evaluation purposes. Letter of Acceptance from the school of his/her choice. Five (5) copies of the 1998 Revised Original Personal History Statement (PHS), duly accomplished and signed by the applicant in English and in national alphabet, accompanied by personal seal, if any, original left and right hand prints on PHS and original photos. Transcript of Records/Scholastic Records duly authenticated by the Philippine Embassy or Consulate in the applicant's country of origin or legal residence. "Seen and Noted" stamp is not acceptable. Xerox copy of Passport pages where name, photo, birthplace appear.